My life is dedicated to coming home to the Heart, to living each breath authenticity and Love. I share practices that have inspired me along my journey and hold a space of openness in which I hope that you can come to discover yourself more deeply. I will be sharing Shakti Dance (The Yoga of Dance), womens circles and healing sound baths with the Venus Gong. 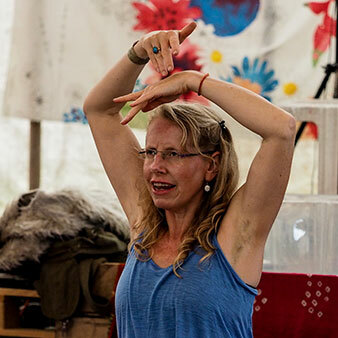 Breathing into the creative space of life through mantra, mudra, asana, movement and dance. When prana finds it’s natural flow, it awakens and heals. In that flow we come home to our bodies and rest ever more deeply in the Heart. Opening each cell to become one with the universal force that is Love.